As Jamie launches his ‘10 recipes to save your life’ for this year’s Food Revolution, here’s my twist on the basic omelette for you: Baked Mini Omelettes! Super-simple fayre, these little treats are a fun take on the humble and nutritious egg, and can be served hot or cold. Fresh chives, chillies, bell peppers, ham, tomato, cheese, smoked salmon; perhaps some pre-cooked ingredients: bacon, mushrooms, black pudding, sausage, broccoli.. the list goes on, so feel free to experiment. The most important factor is to use the freshest and highest quality eggs you can find – the hens deserve it, and it’ll make such a difference to your cooking. You’ll need roughly 1 egg for each omelette. Pre-heat the oven to 180°C degrees (160°C fan). Grease a muffin/cupcake tray with butter or a drop of oil. Beat the eggs and season them with salt and pepper. Pour the egg mixture into the muffin tray and sprinkle in your choice of ingredients. It’s always such a lovely feeling when people show faith in you. I was particularly touched when my good friend Tom Forman asked me to bake cupcakes for his wedding to Miss Amanda Goodwin. Me? cake? I think not. The rather public nature of the ask did however take the decision out of my hands.. I hate to admit it, but I don’t even like cake! Bread is a bit of a hobby for me, but there’s just something about baking and all things sweet that doesn’t float my boat. Scared? Yes. Up for a challenge? Always. I had about a year to master the cupcake, so naturally I waited a good ten months or so before giving it any thought. Sure I’ve made cupcakes before: once or twice a few years ago for my wife’s colleagues in Australia. I even bought a ‘Bake & Take’ for her to ferry our 24 treats to her office. Producing 120 perfectly formed and beautifully presented cakes for someone’s special day is however a slightly different level of pressure. Where to start? The internet and trial & error of course. Man I hate faffing with the mess of baking! Too late to back out? Luckily, I have a colleague who qualified as a pastry chef at Le Cordon Bleu in London. Apparently the success to such cakes is in the weighing of the eggs. This I can assure you is paramount. Breaking it down and contemplating the science certainly focuses my mind and provides clarity within any problem space. Maybe I could get into this baking malarkey? My first attempt at piping looked like the aftermath of a playschool food fight, but a few YouTube videos, new nozzles and disposable piping bags soon fixed that. I might even go as far as to say it’s quite good fun and somewhat satisfying. The next great tip: ‘Quatre quarts’ – This literally translates from French as ‘Four Fourths’. Weigh your eggs (in their shells as their weight is negligible) and then weigh out your flour, butter and sugar to match. Magically simple; happy days. It must be time for another curve-ball. Tiffany Blue..
A little research reveals that the US colour trademark prevents anyone producing the required food colouring. Sigh. So the trial & error process begins once more, much to the delight of my trusty taste-testers. Matching against a genuine Tiffany & Co. jewellery box, I’ve concluded that a mix of 2 parts Wilton Teal to 1 part Sky Blue is ideal. The gels are incredibly potent and you literally only need to use a cocktail stick to transfer the colour to your frosting mix. I swear that the lady on the till in Waitrose thought that I had some form of butter addiction. Here’s a thought: how exactly am I going to bake and frost 120 cupcakes, and then safely transport them to the wedding…? A combination of disposable cardboard cupcake boxes, the loan of a KitchenAid stand mixer, and a day off work did the trick. A word of warning – some of the boxes you can buy aren’t spaced very well and won’t fit larger decorated cupcakes. The stand mixer was a godsend for which I am eternally grateful. They take some getting used to as you can’t ‘feel’ the consistency of the mix, but they save you so much time. I baked a batch of 12 cupcakes every 15 minutes whilst prepping the next batch to maintain control of the mix. My tip for making sure they’re all exactly the same is to pipe the cupcake mixture into the cases on a set of scales. 50g makes for a generous cake that’s just proud of the case. All of the cakes were boxed up after cooling and then frosted with the Tiffany Blue buttercream in one go to guarantee a consistent colour. These delicate little filigree cases added the final touch for the big day. They’re not cheap, but they do make the finished product that bit more professional. Cream the butter and sugar together until light and fluffy. Mix in the eggs one by one. Add the vanilla and then carefully fold in the sifted flour. Pipe the mix into cupcake cases. Bake at 160°C (fan) for 15 minutes and cool on a wire rack. For the frosting, beat the butter until soft and then mix in the icing sugar, a little at a time. Add the flavouring, colour and a splash of milk to thin the mixture if required. Pipe onto the cupcakes once they have cooled. I’m really grateful for this experience; I’ve learnt lots of new skills and have an almighty appreciation for baking. I’m still not a fan of eating cake though! Finally, congratulations to the happy couple and thank you for letting us share your special day with you. We wish you happiness and joy for your future together. 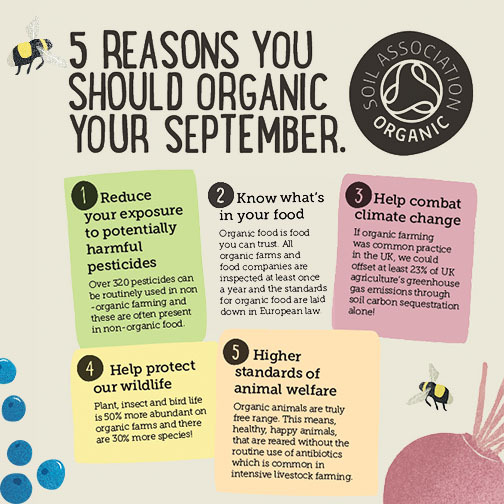 Switching to organic is terribly good for us, the environment and animal welfare. It may have a higher price tag, but we’ll all be better off in the long run. This September, the Soil Association launches its ‘small changes, big difference’ campaign. Head over to their website to find out more, get involved and show your support. So… what are we actually talking about here, and why would you want to bother with it? Basically, it’s just germinating seeds so that they become tiny plants. It really is that straight forward. And you’d want to do this because…..? 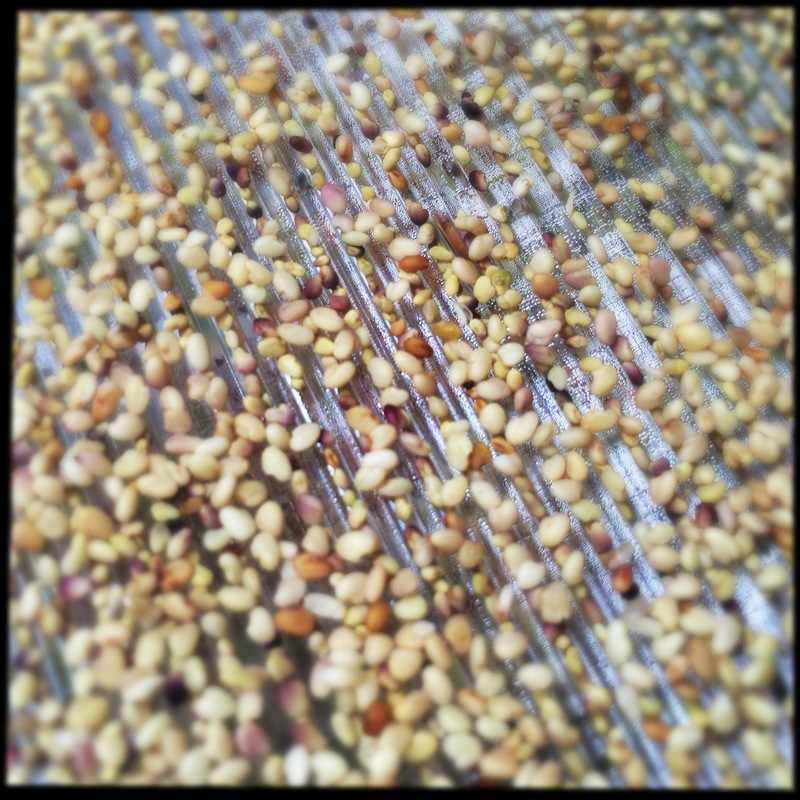 Seeds, grains and legumes are packed with nutrients and are fantastically good to eat. 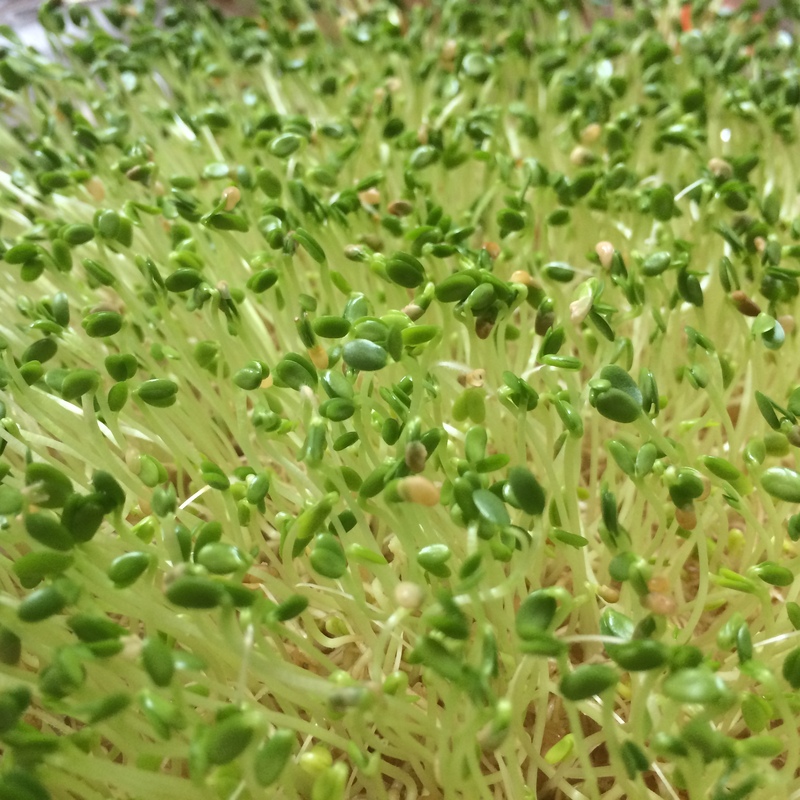 Some of the nutritional value is locked away inside, but the sprouting process increases vitamin content and releases all that goodness for you to digest. #science (It’s all about neutralising enzyme inhibitors and anti-nutrients such as Phytic acid which binds to the minerals). Google it. Not sure about it? 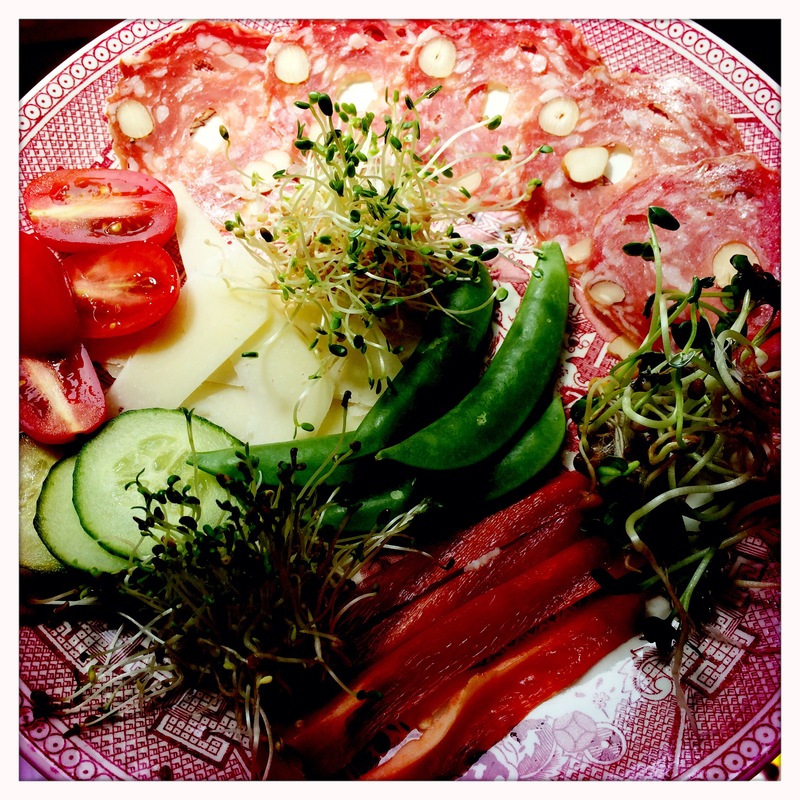 Have you ever eaten Cress? Delicious isn’t it! Bean Sprouts; they’re just sprouted Mung beans. Growing food indoors without the need for soil – genius. Most importantly for me, it’s lots of fun for the kids and teaches them about where food comes from. There’s a certain magic about watching a tiny seed develop and grow. It seems almost unbelievable how much energy is stored in each little seed, just waiting, dormant until the right conditions come along and rekindle life. Sprouting couldn’t be easier; pop them in a jar, soak them overnight and then rinse them twice a day. Specialist kit makes life even easier and is very reasonably priced. I used a three-tiered system that allows me to rotate ‘planting’ and guarantee a constant supply with minimal effort. Just pour water into the top and it irrigates every layer. I even sprouted fenugreek that had been sat in my spice rack for, well, who knows how long. Amazing! All they need is a good soaking to kick-start them back into action. Nature truly is remarkable. A. Vogel are a leading name in the world of sprouting. They grow their seeds organically and don’t irradiate them. Their global support for Jamie’s Food Foundation and the Food Revolution has been truly wonderful, and we’ve been lucky enough in the UK to have recently received donations of sprouting jars and seeds for many of our Ambassadors to take into schools. I can’t wait for term to start again so that I can hear all about the great work that’s going on around the country. I’ve tried all sorts and my personal favourite is Alfalfa. 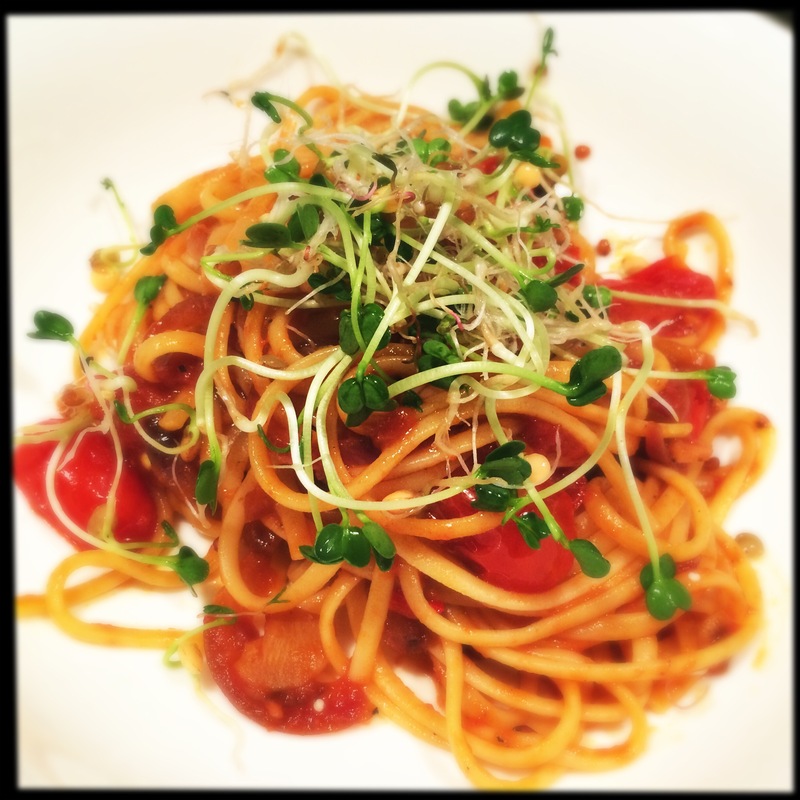 It has wonderfully clean, delicate and delicious taste and works with so many dishes. 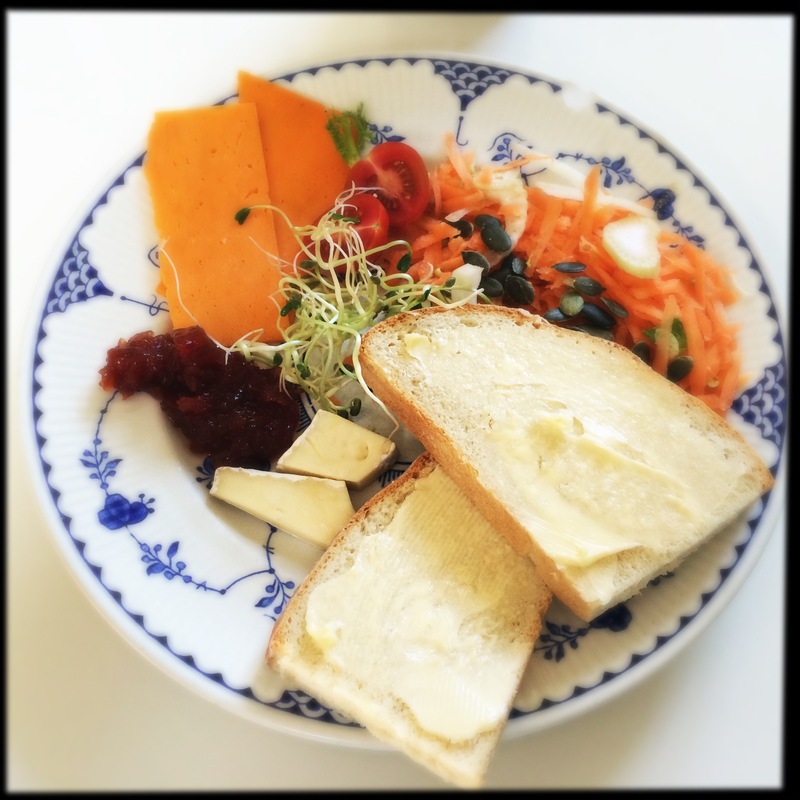 To me, there’s nothing like in a simple cheese and sprouted seed sandwich. Heaven.